> Great link! That's a great middle ground - preserves the look without having to find the original cap. >> One of the DC filter capacitors has gone open circuit in my Tektronix 4051. 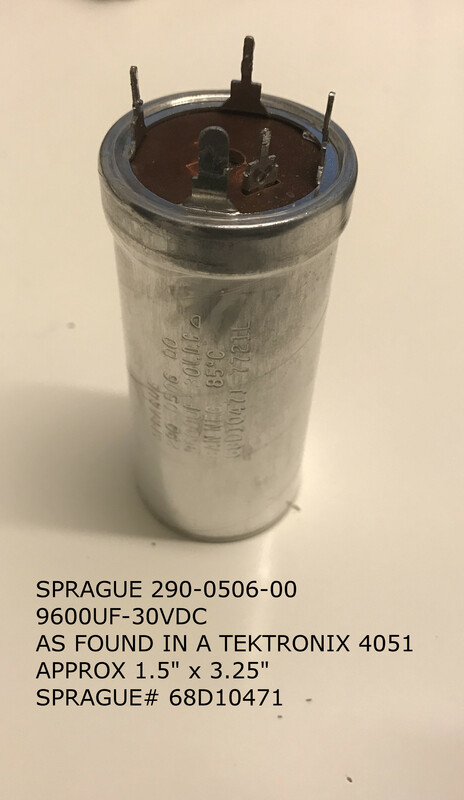 >> It is a SPRAGUE 9600 uF - 30VDC with a little bit unusual foot print. >> It might be common for other Tek equipment. >> Google turned up one Ebay-hit for a completed auction but that's it. seriously sick prices, because tubes. and go your merry way. Pull the old out and replace with multiple smaller modern parts and move on.